Customers can also choose between the ‘house brand’ and your own label. 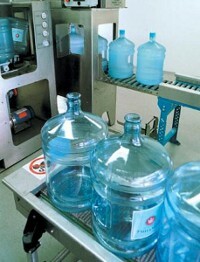 We stock 18.5 and 13litre bottles with carry handles but will happily fill other sizes. 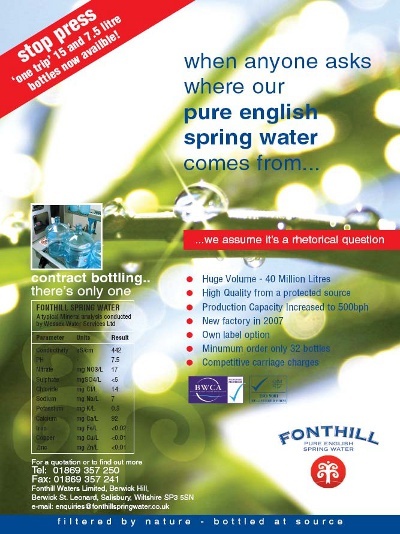 Please contact us by phone on 0870 043 4382 or e-mail enquiries@fonthillspringwater.co.uk for a very competitive price. For detailed information on our water please download our flier.